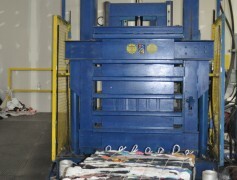 Walia and Walia Wipers manufacture wiping solutions; cloths and rags. We are determined to deliver reliable services to our clients by providing complete cleaning solutions according to their business needs. We build trust with our clients to maintain long term business relation. Our growing business is on our principal motto of serving all in the best possible way and maintaining long term relationship with our clients. These days people are generally not aware of the fatal chemicals they use to clean the body or engine of their car. They are certainly ignorant of the fact that wiper fluid itself is enough to not only bang up your car but also the environment. However recently, eco-friendly recycled wipers for auto industry have been introduced. Although the 'use and throw' approach has made lives a lot easier, but imagine what would life be like when you don't have to spend extra money every time you end up losing a wiper. The Go-Green strategy has now allowed people to leave behind the worries regarding any damage to their cars. The most common fabric used in terms of recycled wipers for auto industry is woven. A woven cloth if used as a wiper offers a long term utilization of the product. Unlike, non- woven wipers these can be recycled and used over and over again. The main dominance of using these is their absorbing property and durability. 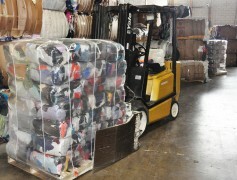 We are helping industry by providing economically clothing wipers and preventing clothing to landfills. We manufacture beals with high compression machines. 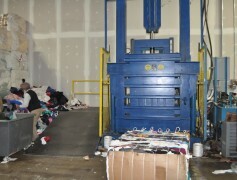 Our bale’s weight is approximate 1100 lbs each and we utility space by compressing bales. 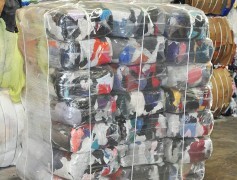 We manufacture used good quality shoes for Africa market.